Japanese experiences that made me fell in love with Japan for life. Would I say the following Japanese experiences are not to be missed? That depends on what sort of traveler you are and what Japan means to you. 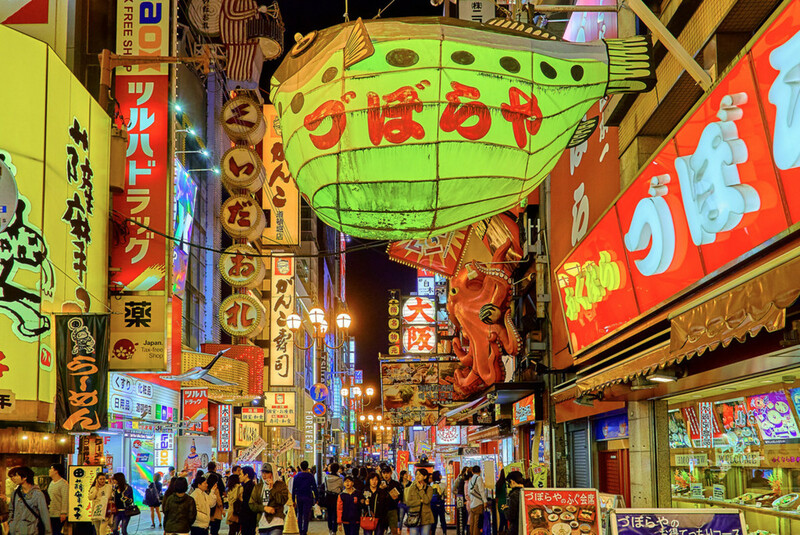 In my case, I was deeply thrilled, tickled, or impressed by the following adventures during my visits—to the extent that my memories of them became the definition of “Japan” in my mind. Incidentally, many of these experiences are also unique to Nihon. In other words, they are worthy of the phrase, "the flavors of Japan." 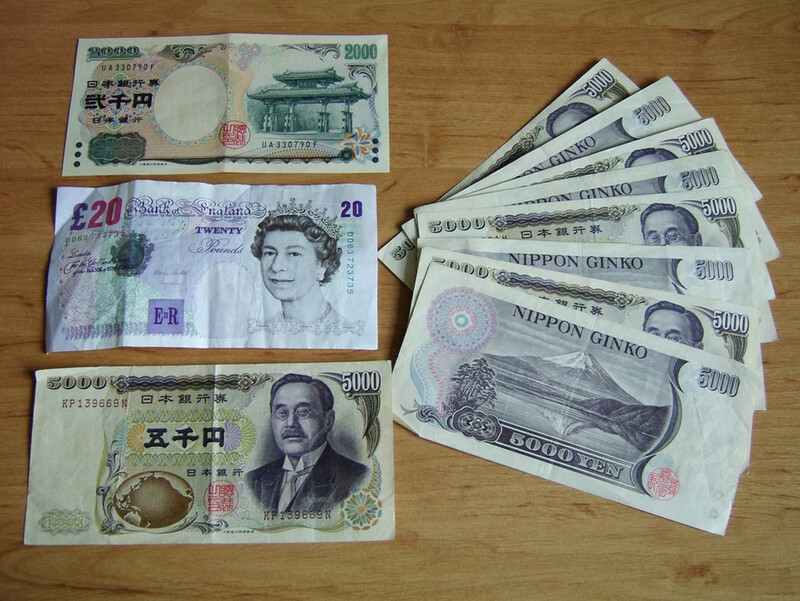 They are likely what most travelers will remember most about their Japan trip years and years down the road. 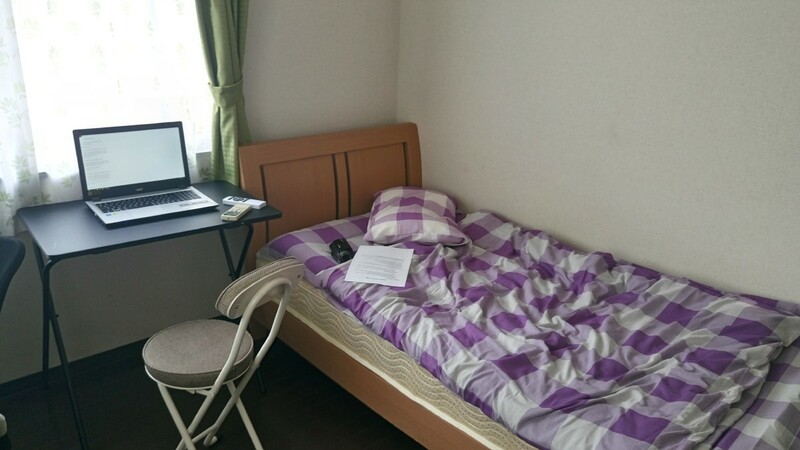 Japanese business hotels are affordable chains of smaller hotels, originally targeting the domestic market, and I continue to be amazed by the variety of amenities provided by them. 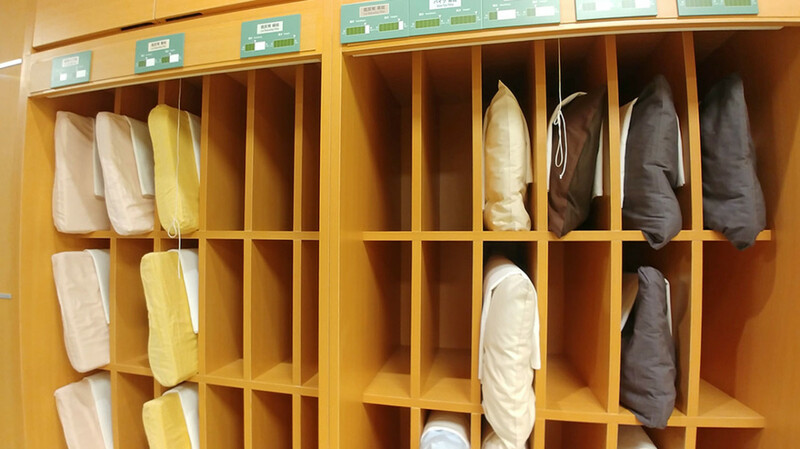 Other than choice of pillows and pajamas, free supper, and useful facilities like washing machines and microwaves, Japanese business hotels are now even offering selection of shampoos, body cleansers, room fresheners, massage equipment, and body care product samples for ladies. Is this the result of cutthroat competition or the epitome of Japanese devotion to complete customer satisfaction? I have no idea. I just know that checking into a Japanese business hotel is like a mini adventure. I can easily spend half an hour trying out those amenities like a child. Pillow corner at a Japanese business hotel. A visit to a Japanese department store basement food section is always an atmospheric Japanese experience. Other than a wide variety of food sold, many stalls also heavily slash prices when closing time approaches, transforming them into a paradise for budget travelers. At the same time, there are also always free samples, making such food sections a great way to learn about Japanese cuisine. Lastly, the vibrant ambience is often rejuvenating. I can’t fully explain, but I always feel enlivened after a visit. 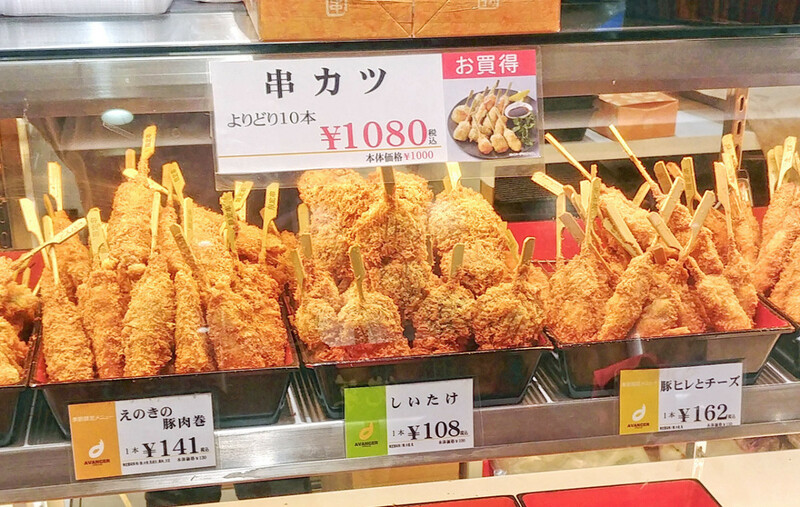 Yummy kushikatsu on sale at a Nagoya department store basement food section. Witnessing Japan’s legendary orderliness first hand remains one of my most surreal Japanese experiences. The way Japanese passengers meticulously clean up their seats after dining on trains. The way they panic and hunch over, with mouths covered, when their phones ring on public transportations. Of all the examples I’ve seen, the most memorable remain that of the queues at Asakusa Temple on New Year’s Eve 2008. Despite the hundreds of people waiting to offer prayers at midnight, there was no mess, no din, no jostling even. Everyone was neatly queuing in a straight line. More than anything else, this convinced me that public consciousness is truly an enshrined way of life in Japan. Needless to say, this conviction also fills me with endless admiration. The punctuality of Japanese trains is heavily promoted on many Japanese travel pamphlets, and yes, they do mean it when they use the phrase “you can set your watch by …” For the kick of it, I always do exactly that upon reaching Japan, even if my watch isn’t inaccurate. Note, though, such punctuality might not always be a boon. More than once, I balefully watched a train sped away when I was but a few seconds late. The punctuality is indeed legendary, but it can also be unforgiving. 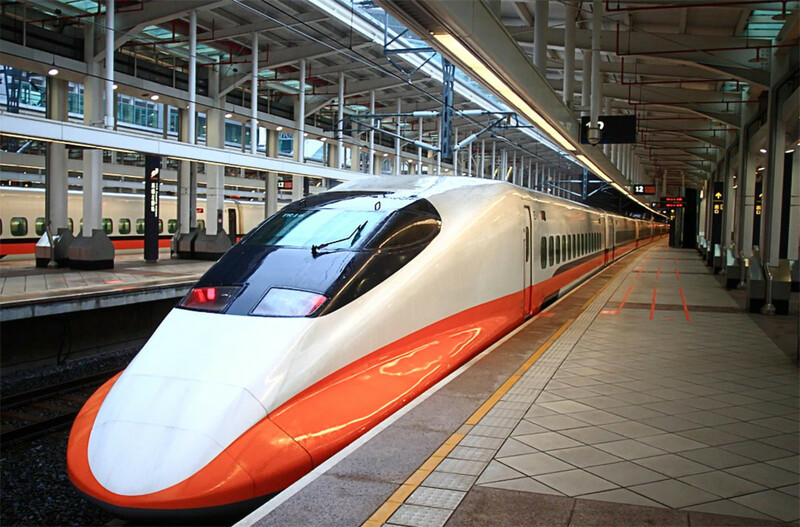 On another note, the reliability of the Japanese train system means it’s always a breeze traveling within Japan. The Japanese take the adage “The Customer is King” seriously. Actually, they practice it literally, especially in large department stores. Be prepared to be pampered and adored like royalty when shopping at these places, even if you’re just buying something that’s rather cheap. Truth be told, I’m still a little overwhelmed by such service despite having visited Japan more than ten times. It’s often a little too embarrassing and unnerving. That nice old lady just wouldn’t stop bowing! To be honest, I’ve ever only did this once, during my very first trip to Japan when I was young, foolish, and less self-conscious. My take away from that visit, being a “master” i.e. bartender at these hole-in-the-wall outlets truly requires outstanding conversational and customer observation skills. Over three hours, the master continuously came up with new topics to chat about, in spite of him hardly speaking English and me barely understanding Japanese back then. As awkward as that was, we didn’t stop talking. Eventually, other customers joined in too and we had good laughs over many things. Someday, I really ought to repeat this unique Japanese experience at a suitable bar. With a better grasp of the Japanese language now, I believe I might enjoy this experience more. In my opinion, Japanese castles are as grueling to ascend as they are beautiful. This is particularly so for the original ones that are not reconstructions, for example, Matsumoto Castle and Himeji Castle. Other than a long meandering walk to the keep, steps within the keep itself are outrageously steep and narrow. Inevitably, I end up sweaty and breathless during this treks, both hands balled into fists as I press on. And yet, I continue to visit Japanese castles, because I never fail to experience a strange euphoria upon reaching the topmost floor. A euphoria that’s not simply due to the panoramic views available there. What drives me? Is it the illusion that I have momentarily been a samurai, successfully rushing to my lord’s aid? I’m still trying to figure this one out. Meanwhile, I continue to race up as many Japanese castles as I can during each visit. 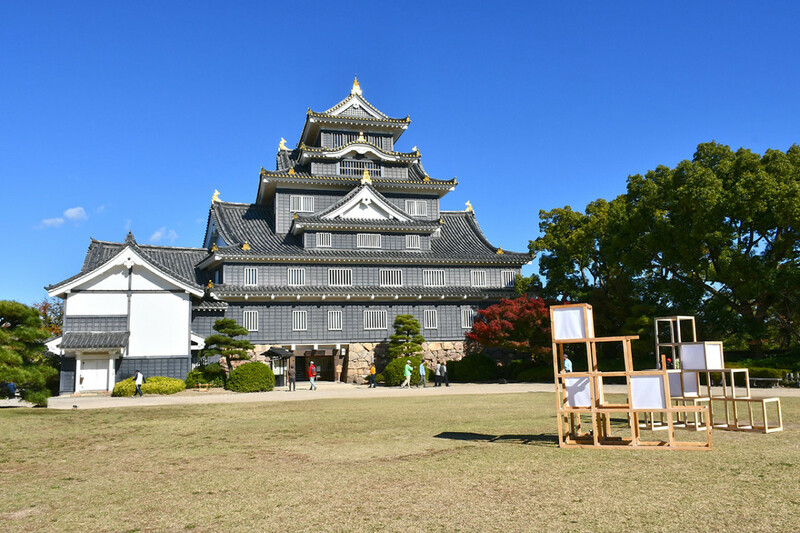 The good news is, reconstructed Japanese castles like Okayama Castle have less steep steps. The bad news is, reconstructed castles are seldom equipped with elevators too. Don’t laugh. I panicked during my first visit to Shinjuku Station in 1998. Dear Lord, just how large is this behemoth? Where on earth is the exit for Studio Alta? Could everyone just stand still for one moment so that I can get my bearings? During my 2015 trip, I had a similar dizzying moment in Fukuoka’s Tenjin Underground Mall. I couldn’t see the opposite end of the mall when I entered. After briskly walking for a few minutes, I still couldn’t see the opposite end. That’s how large and complex major Japanese stations and underground districts could be. If you enjoy navigating endless corridors of shops, a visit to any could be your most memorable Japanese experience, as it is for me. On the other hand, if you are bad with directions and crowd, well, be prepared. Do take care too. 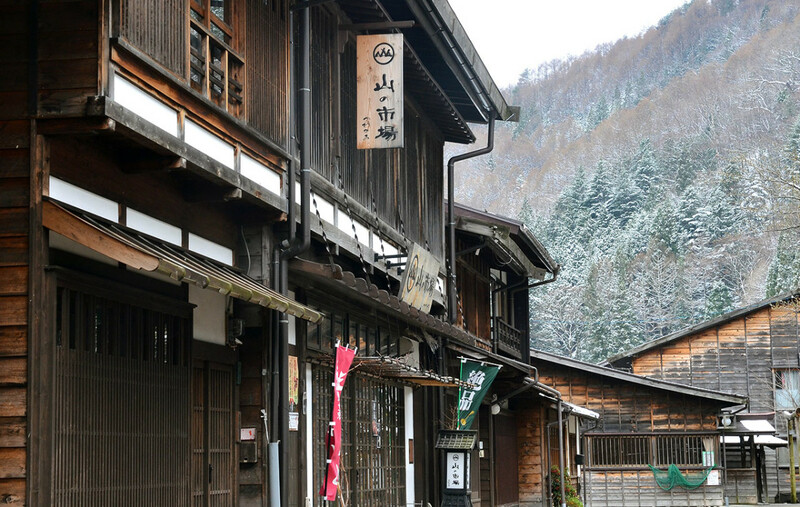 Many travel guidebooks describe famous onsen towns like Gero and Kinugawa as overbuilt and ugly. Quite honestly, I tend to agree. 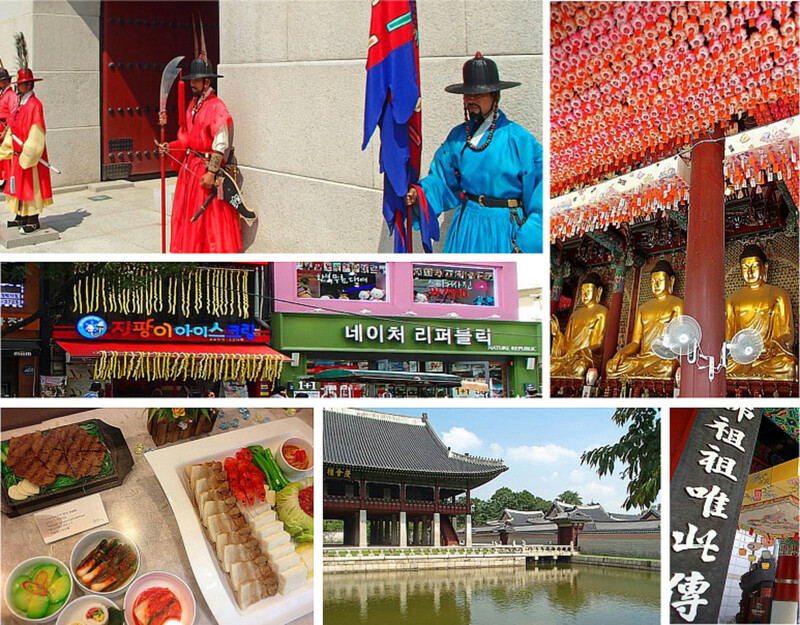 In spite of that, though, a visit in any of these still could be an enchanting experience. That is, when under the right circumstances. For me, this would be the hour right after sunset i.e. what photographers call the blue hour. Drab concrete buildings are less noticeable. Here and there would also be Japanese visitors enjoying the evening cool while strolling in traditional Yukata robes. A serenity gradually accumulates till it’s completely dark with everyone back at their Ryokans. Thereafter, at the right spot and with a can of beer/tea, you can almost feel the world standing still. Only you are floating down the waters of time. My friends have very contradicting opinions regarding the Kiso Valley. Some adored it, stating their hikes there to be their best Japanese experiences. Others downright lambasted the postal towns to be overrated, and regretted wasting time making their way there. Having visited Narai, I can only say the experience is what you want to make out of it. Can you bring yourself to cognitively ignore the little clues of modernity scattered here and there? Things like electric lights, modern attire, and so on? If you can, you would suddenly find yourself back in the Edo Era. I managed to do so for a few minutes when in Narai. Looking back, I considered myself having briefly traversed time. 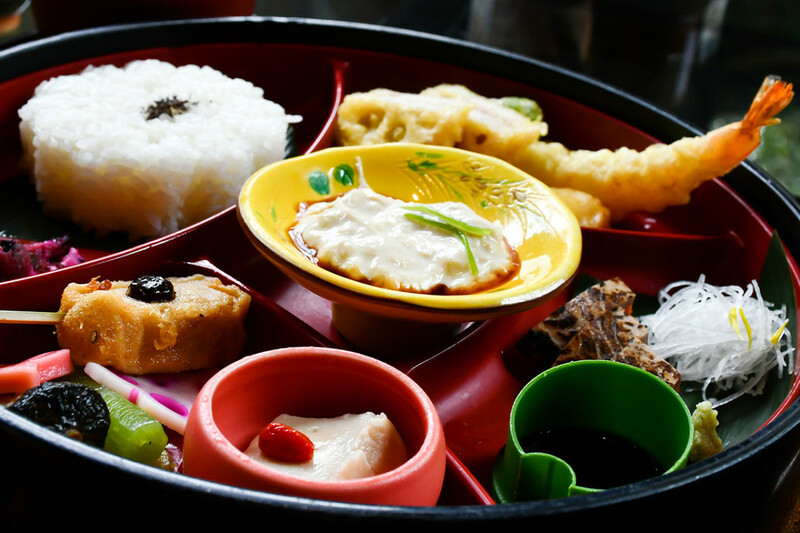 Ekiben is the portmanteau for eki and bento, and refers to packaged meal boxes intended for consumption on trains. If that sounds unappealing to you, know that Ekiben are nowhere near being dreary refrigerated meals. There’s an entire institution behind these beloved meal boxes, and each year, F&B establishment compete intensely to come up with the most appealing and attractive offers. 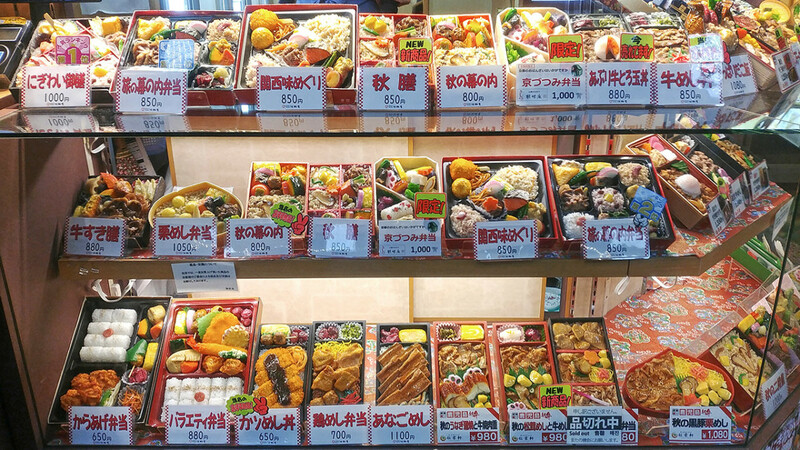 In my case, I always feel like a child entering a candy store when patronizing an Ekiben shop. Everything is so colorful and so artfully packaged. It is also always such a challenge to decide which to buy. Ekiben on sale at Kyoto Station. Deciding which to go for is always a difficult Japanese experience for me! This is a geek thing. 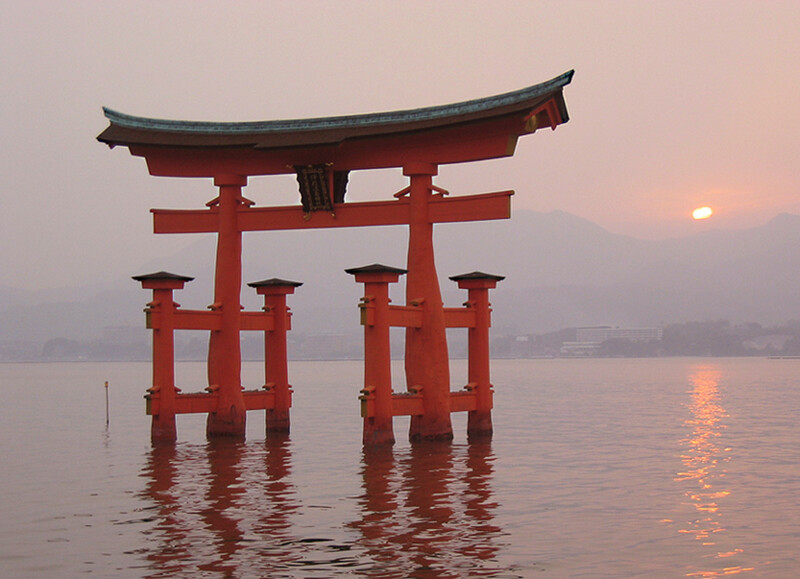 As an avid video gamer, I frequently see famous Japanese landmarks or locations replicated in games. Because of this, I make it a point to visit these spots when in Japan, for the purpose of believing, if only momentarily, that I’ve been transported into my favorite games. As childish as this may sound, it’s incredible fun, fun that could get downright intoxicating. The visits are particularly enjoyable when I pair the excursions with soundtracks from the games. Anyone who has seen me while I’m on such excursions would surely note I get completely wild-eyed. When I first read about this Japanese experience in landscaping books many years ago, I was deeply skeptical. Hidden spots within Japanese gardens with unique views? Yeah, right. Even if they exist, how dramatic could they be? Isn’t it a matter of looking at the same tree from another angle? After visiting various famed Japanese gardens over the years, such as Tokyo’s Rikugien, I’m pleased/ashamed to say how foolishly wrong I was. To put it simply, this power spots hit you like a smart whisk on the behind. You make a turn and suddenly it’s before you, indeed still the same tree or bridge or hut, but under a totally different light. In many cases, one could even say the revelation is like an epiphany. I’m not endorsing exhibitionism! Neither am I speaking of those famous rustic onsens surrounded by glorious forests or bleak snowscapes. I’m talking about minimal, small-town riverside facilities that almost always consist of no more than a simple shed. You drop a coin into a collection box as entry fee, thereafter for the next few hours you are free to be as one with nature. The “best” part of this Japanese experience, so to speak, is that such places are often in full or partial view of surrounding walking paths. What’s the greater kick here? To be seen? Or to watch pedestrians obliviously stroll pass? By the way, many of these facilities are only usable by males. I don’t think I need to explain further. For a nation that places so much emphasis on social conformity, Japan is incredibly tolerant of alternate cultures. Wait, I should say no other country possibly celebrates alternate i.e. geek culture as much as Japan. Not only are there numerous chains of stores entirely devoted to such fan communities, there are events, seminars, and performances regularly scheduled too. The avid gamer and Anime fan I am, you can imagine how thrilled I am whenever I step into such stores or events. It’s like finding slices of heaven, readily available in all corners of Japan. 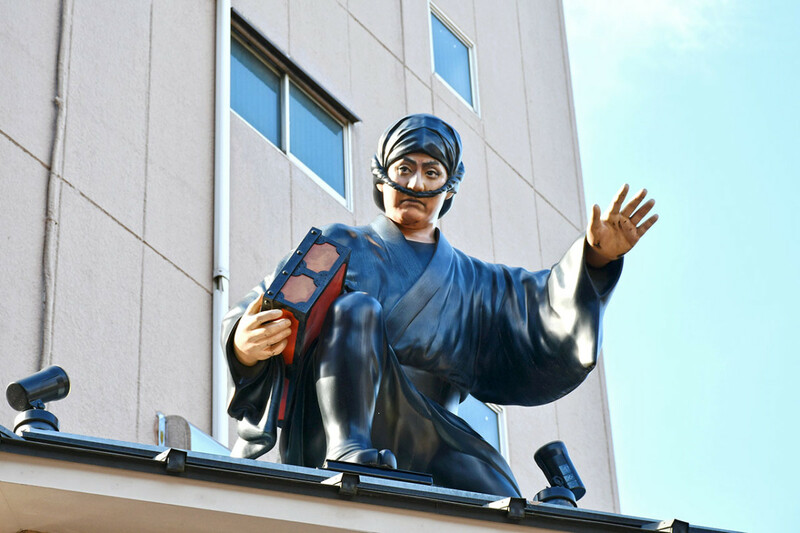 A watchful ninja atop a building in the historical Asakusa district of Tokyo. This is a costly activity, and frankly, you need to be with a companion to truly enjoy it. If you do get to try such “cosplaying,” though, I believe you would agree with me that there is no better way to immerse yourself in Japanese heritage. The elaborate setups at periodic theme parks like Nikko Edo Wonderland will also ensure only the very fussy would find the illusion incomplete. Have you noticed I did not include watching a Matsuri procession as one of my favourite Japanese experiences? Well, the truth is, I’ve ever only attended one and I didn’t enjoy it, for the reason I stood for near an hour before the procession came. It was tiring and uncomfortable. The opposite is the case, though, when it comes to having a snack at a Matsuri food area. Consider this scenario. You’re at the corner of the food area with several yakitori skewers in your hands. Above you looms the branches of a cherry blossom tree, pedals occasionally drifting onto your lap. Before you, tourists and Japanese people saunter pass, some laughing, some snacking too. How does that sound to you? Is it an Anime perfect moment? It is always for me. Speaking of Anime, is there any better time to enjoy an episode than while on a speeding Japanese train? Especially when Japanese symbols like Mount Fuji are just outside the window? At the risk of sounding racially offensive, I’d share I’ve always felt the Japanese have a tendency to yari-sugiru, or to overdo. One example of this is that of festive illuminations. Now, such illuminations, such as those for Christmas, are common worldwide. Yet, the way the Japanese “do” illuminations is seriously on another level. I was completely blown away when I visited Ashikaga Flower Park during its massive annual winter illumination. 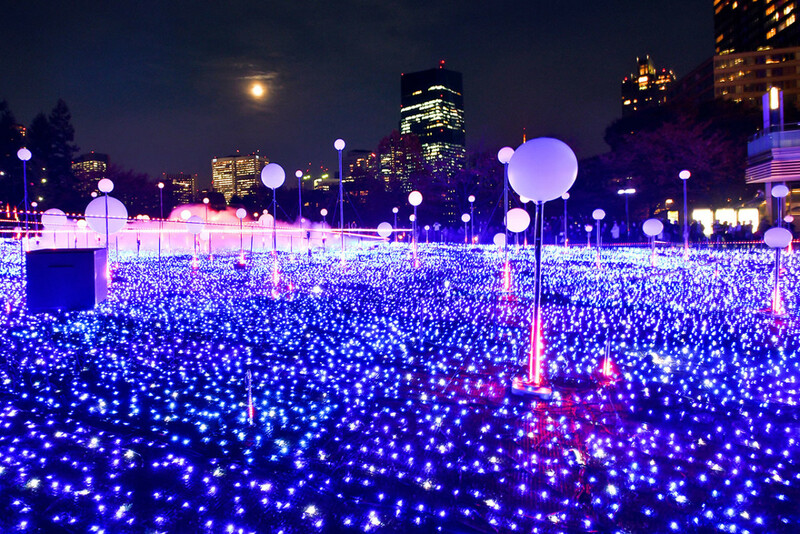 The same in the case of smaller-scale illuminations such as those for autumn leaves, cherry blossoms, midsummer, etc. The short of it, I don’t think there’s a more dazzling way to spend an evening in Japan. If you’re there while one of these illuminations is ongoing, it’s sheer tragedy, and foolishness, to give them a miss. Tokyo Midtown Christmas Illumination 2018. I’m not fond of seafood. Because of that, I find many Japanese classic dishes unpalatable. In spite of that, I still try as much as possible to have a Kyo Kaiseki meal whenever I’m in Japan, reason being these are such stunning feasts for the other senses. The international fame Kyo Kaiseki enjoys nowadays, I’m sure I need not explain further beyond saying, each course is like a piece of meticulously crafted artwork ceremoniously presented to you. My most memorable Kyo Kaiseki meal remains my very first one in 1998. Could I share I simply couldn’t stop grinning throughout the courses? Other than Kyo-Kaiseki, most formal Kyoto meals are very artistically presented too. Most of my friends who have visited Japan dislike onsen theme parks like Osaka’s Spa World or Tokyo’s Oedo Onsen Monogatari. They consider them loud, touristy, and borderline juvenile. While I don’t entirely disagree, I’d highlight such attractions could still be immensely enjoyable, provided you enter under the right mentality. Other than easily accessible locations, there’s always a vibrant sense of merriment and entertainment, on top of a slew of activities to try. Allow me to share that I enjoy said ambience so much, I always spend my final night in Tokyo at Oedo Onsen Monogatari. To me, it is the perfect way to end a Japanese holiday. Here’s what happens when you attend a Kyo Odori, or Kyoto-style dance performance. Before the performance, you could have a mini tea-ceremony, after which you are free to take home the ceramic plate used to serve you wagashi. The performance then begins, and every act of it is a glorious celebration of Japan’s most distinctive cultures, celebrations filled to the brim with boundless beauty. Not to exaggerate, but the first time I watched Kyo Odori, I felt the ladies were putting on a grand “welcome to Japan” ceremony for me. It’s ridiculous to speak of. But the beauty there and then invited me to indulge. And to remember the performance for life. 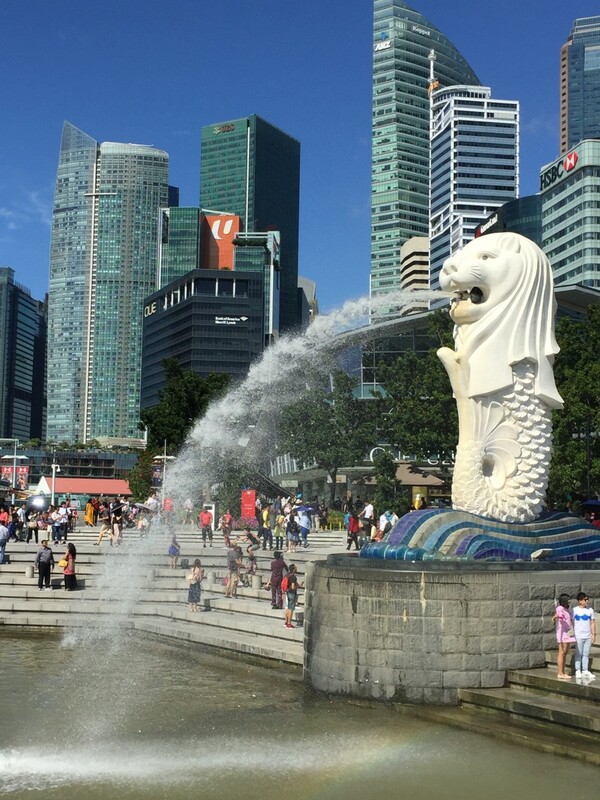 What’s better than visiting centuries-old temples full of artworks designated as national treasures? Visiting the same temples at night when they are gorgeously illuminated, of course! Two of my visits to Kyoto coincided with Hanatorou, or the “flower lantern road.” Believe me when I say exploring Kiyomizu Temple or any of the other illuminated Higashiyama temples at night is hands-down one of the most atmospheric Japanese experiences one can ever have. Even the shopping streets around the lit temples become a memorable excursion. Every shop and corner is literally a photographer’s dream set piece. I jest. I’m not talking about Yakuzas here, I’m referring to the free-roaming deer found all over Nara Park. As adorable and as docile as they seem, these little darlings will positively mob you the moment they detect a deer cracker in your hands. Even if you aren’t holding food, they might still sneakily check out your bags, or bossily yank at any paper you’re holding. As harrowing as this sounds, know that nearly all visitors end up in stitches after a “mobbing” experience. I myself always have a hearty laugh, and never visit the Kansai region without a day trip to Nara. 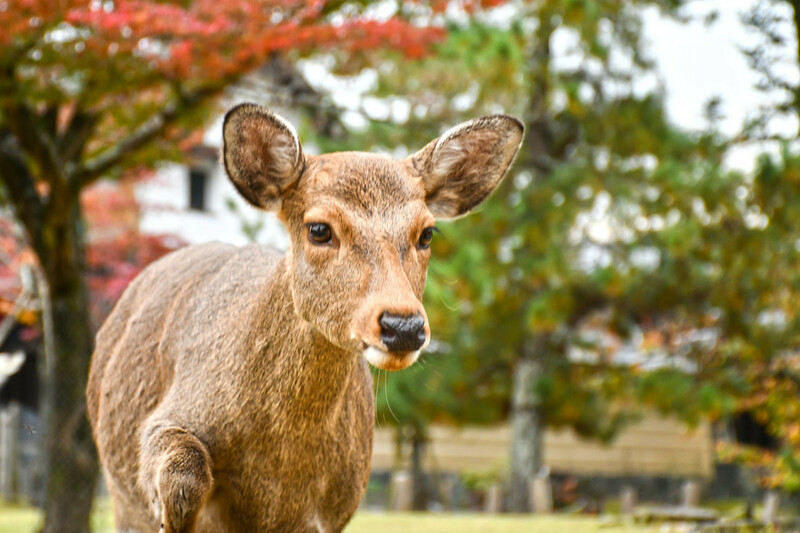 As bossy as they are, the deer of Nara Park would surely steal your heart. During my earliest visits to Japan, I visited all of the famed Mount Fuji viewing spots, some repeatedly, without so much as a glimpse of the mountain. By my sixth trip, I’ve given up. I no longer schedule visits to those viewing spots. I don’t even bother to stay awake when riding the Tokaido Shinkansen. And then she appeared. During my seventh trip and while I was heading to Tokyo on the Shinkansen. One moment she wasn’t there. The next, there she was. As majestic and as breath-taking as she is in photographs. The only word I have for this viewing is “magical.” It was truly as if she appeared by magic before me. Needless to say, the impact of that dramatic moment is now my favorite Japanese experience. When I think of Japan, I recall that moment. Possibly, nothing else I’d encounter in my future Japan trips would ever surpass this moment. Mount Fuji from the Tokaido Shinkansen. 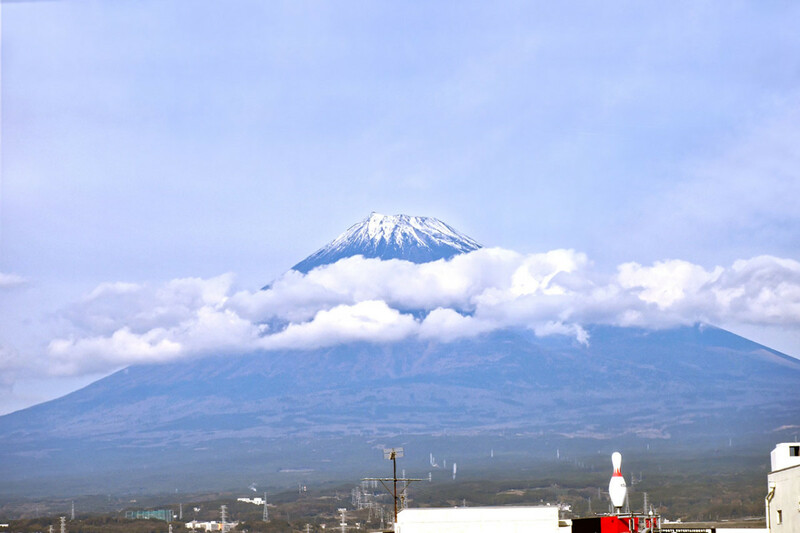 Some travel books say Mount Fuji only reveals herself to you when she’s in the mood. It is true. You can go to a million sites for places to go. Hubpages is good for getting a personal take on cool things to do. Hey George, thanks for your encouraging comments. Truth be told, I was a little concerned when writing this for I opted to talk about actual experiences, rather than places to go, sights one must see, etc. I'm glad it provided you with some inspiration. And I hope you get to visit cool Japan soon too. I always love seeking the less common attractions and activities when I travel. 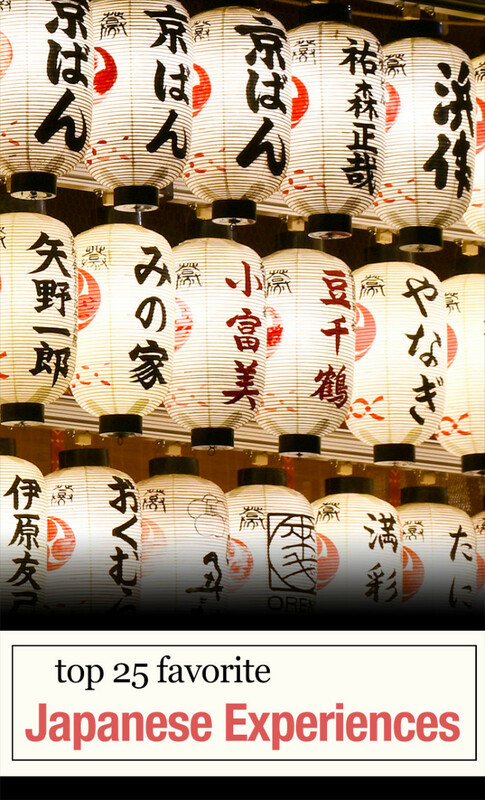 I really enjoyed your article and it gave me some great ideas for when I visit Japan.